Len Dawson is a former NFL quarterback who played for the Pittsburgh Steelers from 1957–1959, the Cleveland Browns from 1960–1961 and the Dallas Texans / Kansas City Chiefs from 1962–1975. Dawson is a Super Bowl champion plus Super Bowl MVP for Super Bowl IV in 1970. Dawson is a Pro Bowl selection for 1971 plus he was named NFL Man of the Year for 1973. Dawson also is a three-time AFL champion for 1962, 1966 and 1969 as well as a six-time AFL All-Star for 1962, 1964 and 1966–1969. Dawson is a two-time First-team All-AFL for 1962 and 1966 plus two-time Second-team All-AFL for 1964 and 1968. Dawson was also named AFL Most Valuable Player for 1962. The Kansas City Chiefs retired Dawson’s No. 16 and in 1979 he was inducted into the Kansas City Chiefs Hall of Fame. 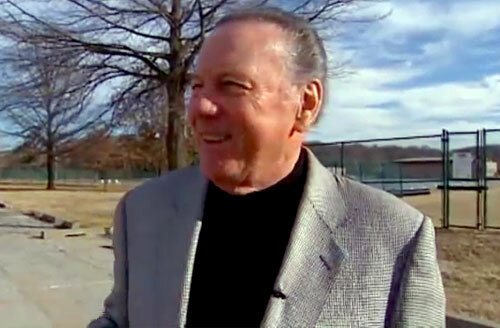 Len Dawson was inducted into the Pro Football Hall of Fame in 1987. Sports Speakers 360 is a booking agent for pro athletes. If you would like to book Len Dawson for a speaking engagement, appearance or endorsement, contact a Len Dawson booking agent for fees at 1.855.303.5450.